3/23/16: Congrats to San Clemente’s Griffin Colapinto, who won the 2016 Pipe Pro Junior WSL event. Although he prefers Pipeline a lot bigger than it was, the smaller version still didn’t deter him from taking the win. Also congrats to 3rd Place finisher Cody Young and Quarter-finalist Quentin Turko. Here’s more from the World Surf League: Colapinto comboed the field after posting a 9.4 in the first few minutes of the Final, which left Braden Jones (USA), Cody Young (HAW) and Ryland Rubens (USA) searching for waves in the quiet heat to better their mid-range scores. No stranger to Pipe, Colapinto is known to charge in waves of consequence and has put in time along the North Shore for the better part of his teenage years. 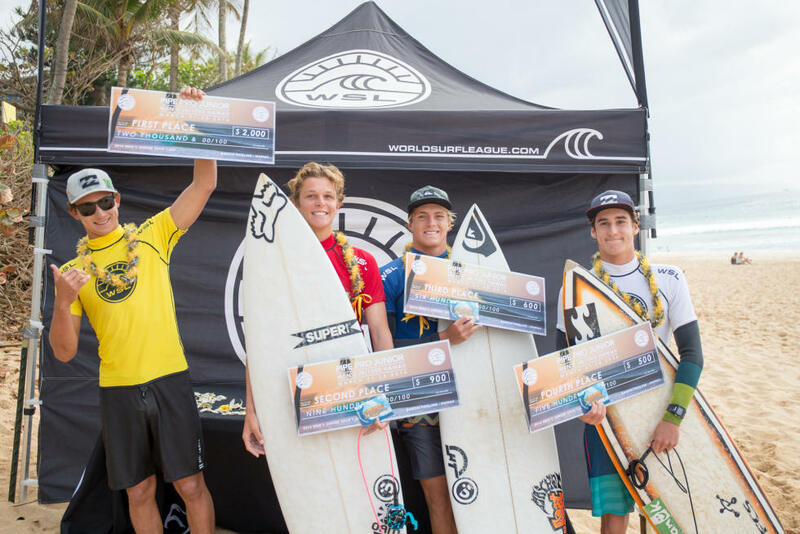 The San Clemente surfer placed Runner Up in the Sunset Pro Junior earlier this year and is looking ahead at this winter season on the North Shore.